Why wait for a gift you may not receive? 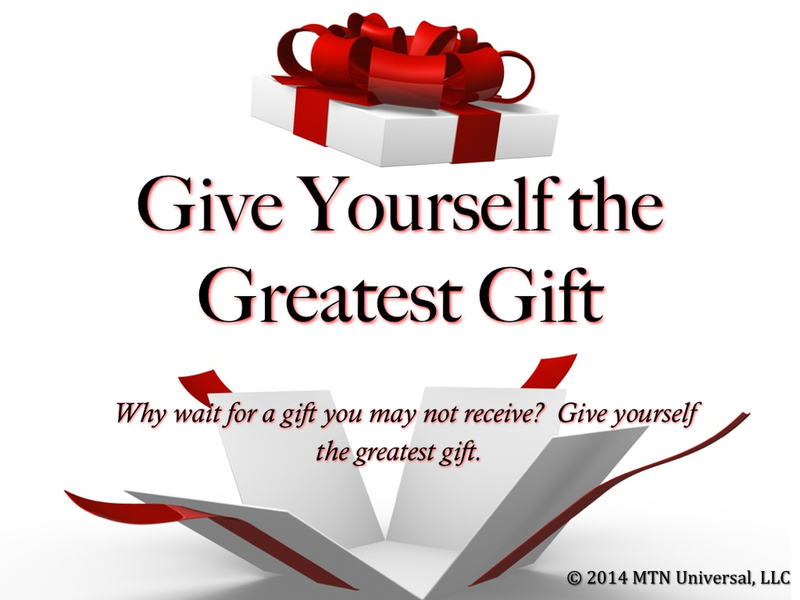 Give yourself the greatest gift. People are celebrating the 2014-year and getting ready to enjoy great fellowship with family and friends during this holiday season. Around this time of the year many people are buying their last few gift items for the holidays. I greatly delight in the holiday spirit, but I’m not a fan of getting lost in crowds of shoppers and standing in long lines to find that perfect gift. On the other hand, my wife enjoys every bit of the shopping festivities. She absolutely loves it. I believe she loves it so much because of the experience and her ability to give to someone else. Many times we do a great job taking care of others needs and wants that we end up forgetting to take care of ourselves. In Acts 20:35 the LORD said, “It is more blessed to give than to receive.” You are probably wondering what is the greatest gift. “The greatest gift is LOVE!" The greatest gift you can give yourself is the gift of love because it is a gift that keeps on giving. Question: Have you picked up your gift? Leave your comments below.